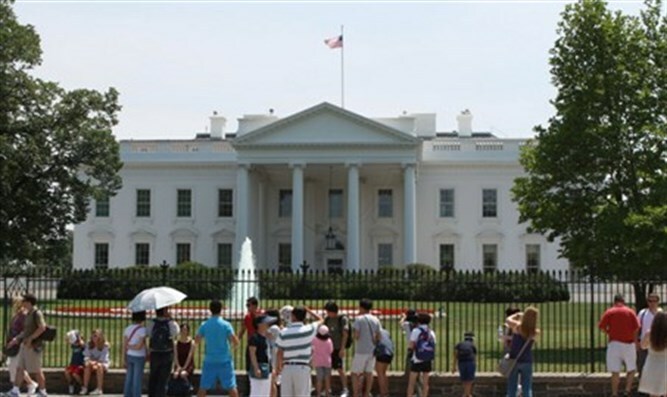 Jewish leaders are invited by the White House to a discussion with “key Administration officials” on “pertinent issues impacting the community,” to take place Tuesday evening. Speaking with Arutz Sheva, Duvi Honig, the founder of the Orthodox Jewish Chamber of Commerce, who was invited, said that there were no details regarding who the "key officials" at the meeting will be. In terms of the organizations invited, Honig pointed out that many of them are Orthodox: "Among the groups are the American Israel Public Affairs Committee, Hadassah, the American Jewish Committee, the Jewish Federations of North America, the Jewish Council for Public Affairs, the Zionist Organization of America, the Alpha Epsilon Pi fraternity, the Coalition for Jewish Values, the Republican Jewish Coalition, the Conference of Presidents of Major American Jewish Organizations, Young Israel, the Orthodox Union, the Orthodox Jewish Chamber of Commerce, Agudath Israel, and America Friends of Lubavitch (Chabad)". According to JTA, officials of the Reform, Conservative and Reconstructionist movements said the movements were not invited, while a Washington D.C.-area Conservative rabbi, Stuart Weinblatt, was invited. Others groups not invited included the Anti-Defamation League, J Street, the Israel Policy Forum, and The Simon Wiesenthal Center, JTA reported. "Many left-affiliated organizations were not invited", emphasized Honig, pointing out that the issue of who was and who wasn't invited to an official White House event reached headlines at the 2017 White House Hanukkah party, as Democrat lawmakers and groups affiliated with the left were not invited. "Those who were invited share the President Trump's views", added Honig, "and connect with the way he is dealing with crisis effecting Jews in the USA and around the world regardless to being Orthodox, Democratic or Republican. The president is an investor and looks where he can have a return on his efforts and respects those who disagree with him. Unfortunately those who sometimes disagree with him disrespect him, and that’s not what the Torah teaches us Jews to do .. we must always respect our leaders and speak to them in the most respectful way even if we disagree.. but unfortunately today many lost values".